Are you not much of a “baker?” Are you looking for something completely mind-blowingly easy to make for the holidays to share with friends that will astound them with deliciousness? Look no more, for I am about to share with you a classic favorite that has wowed many with whom I’ve shared this recipe. It’s actually not even a recipe from my own family; it comes from one of my mom’s best friends. But it is a HIT and you would never guess that these little babies would rock your world–but oh, they will. There are four ingredients and about three easy steps. Sound good? Of course it does. If you’re wondering what the heck aromatic bitters are, it’s an elixir that can be found in most liquor aisles of a grocery store. Or you can go straight to a large liquor store, where they’ll probably have it. You can search high and low for bitters in the baking aisle but you will not find it – take it from me. It’s usually used in cocktails. And now, it’s also used to enhance toasted pecans. 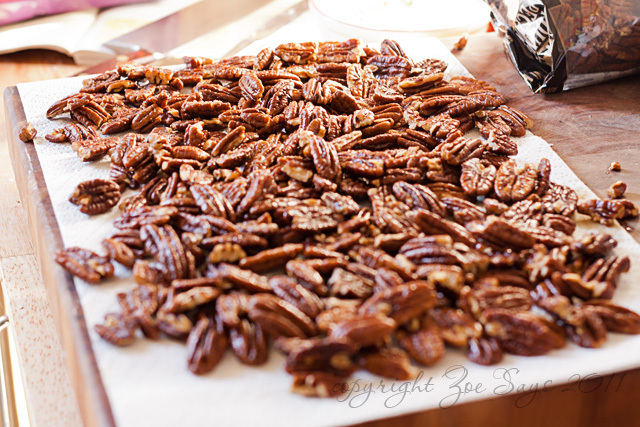 Oh yeah, and if you have a nut allergy or are like my friend Meg who just thinks pecans look and taste gross (she says the wrinkles creep her out), then yeah, you won’t like these. But EVERYONE ELSE will. Preheat oven to 300 degrees. 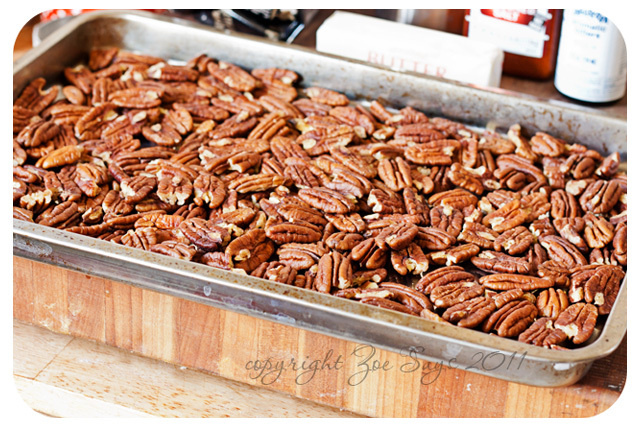 Lay the pecans flat within a jelly roll pan or on a baking sheet that doesn’t have an open end on one side. 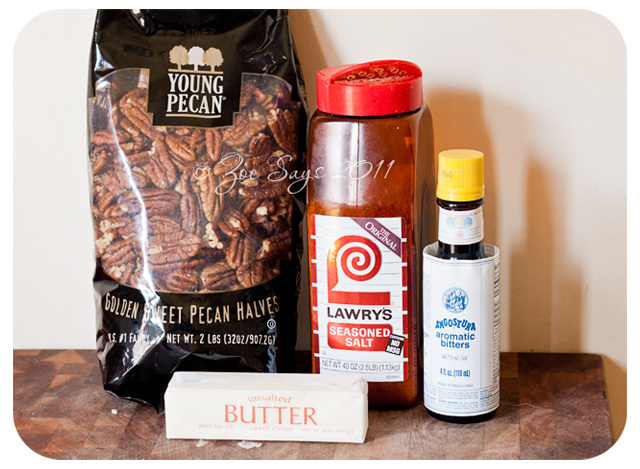 Toast the pecan halves for 20 minutes. They will look slightly darker and your kitchen will smell awesome. 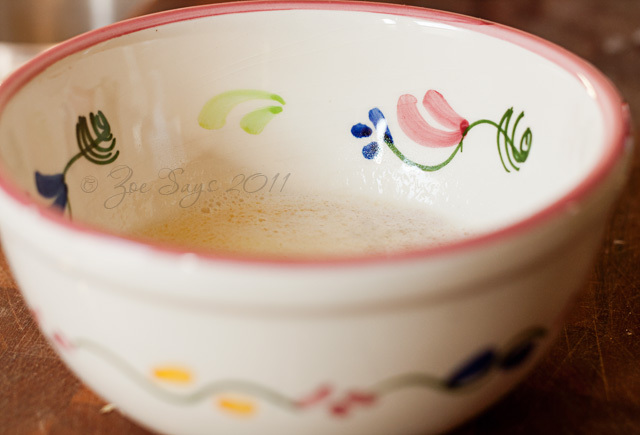 Gently melt the butter in a bowl in the microwave or over low heat on the stove until it’s liquified. Mix together the butter, bitters and seasoned salt. Mix well! 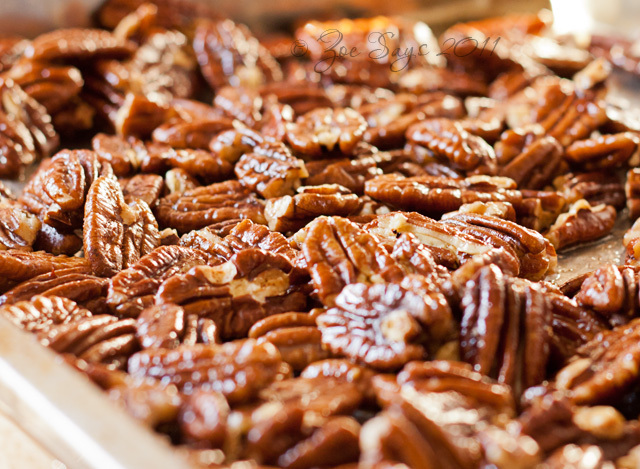 Drizzle this Magic Potion over the pecans. 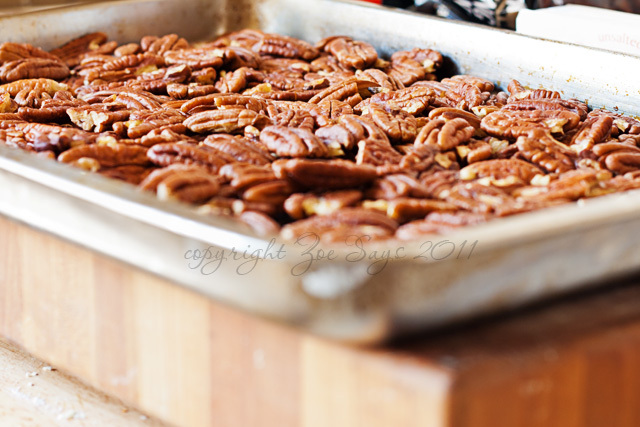 Toss the pecans to ensure they’re equally coated (using two spatulas is easiest). Bake for another 15 minutes, tossing every 5-7 minutes until done. Cool on paper towels. Amaze friends. 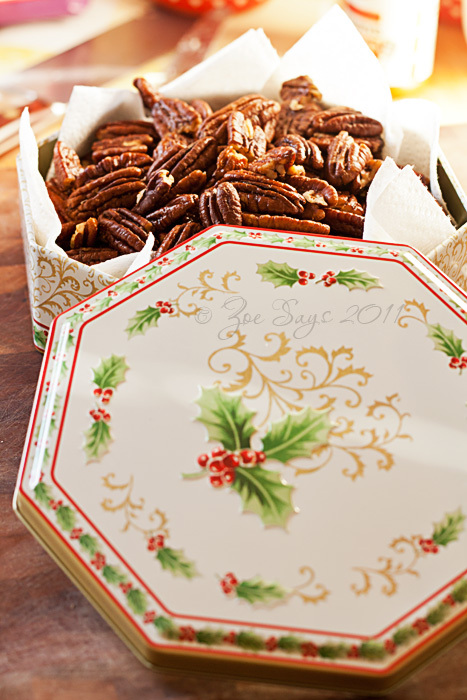 Note: If you are going to put these in a festive holiday tin, definitely line the tin with paper towels. It’ll prevent the tin from getting the salt and oil from the butter in it. Did I take illustrative photos? Naturally. You know what melted butter looks like. I just like my little French bowl. The festiveness is killing me. They are good. I have to really watch myself! If you have seasoned salt and bitters over there, try ’em! THESE WOULD BE GOOD TO PUT IN LITTLE CLEAR PLASTIC TREAT BAGS FOR EVERYONE WITH A HOLIDAY LABEL ON THEM! GREAT POST, THANKS FOR SHARING! YOU’RE THE BEST!